If you are looking to improve your success betting on sports then you will want to read through this how to win at sports betting guide written by one of the sharpest bettors around. This guide is written mainly for the US and Canadian sports bettor as the truth of the matter is that these bettors have much less choice in quality sports books and online bookies than our friends across the pond. If you are looking for a guide to the top US sports betting then look no farther. 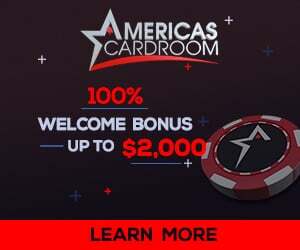 You will learn why signing up at a site like 5dimes.com with reduced juice is better than taking a big bonus offer at a site like BetOnline.com over the long haul. Learn how to shop for the best lines, what to look out for when choosing a book to place your bets. The article breaks down and compares the difference between getting the bonus offer, that comes with a healthy rollover requirement versus taking no bonus but getting access to the best lines possible. The guide covers the most important thing that winning sports gamblers do and that is make sure they are betting with the best odds possible each and every time they make a bet. This usually means having an account ready to go at the few limited books available to US bettors in 2012. Sure, there are plenty of books available but the integrity, trust and reputation of many of them is how should we say it… less than par. That is why the trusted books are recommended in the guide as it does no good to win bets if the books refuse to pay. This entry was posted in Sports Betting, What's New Blog. Bookmark the permalink.